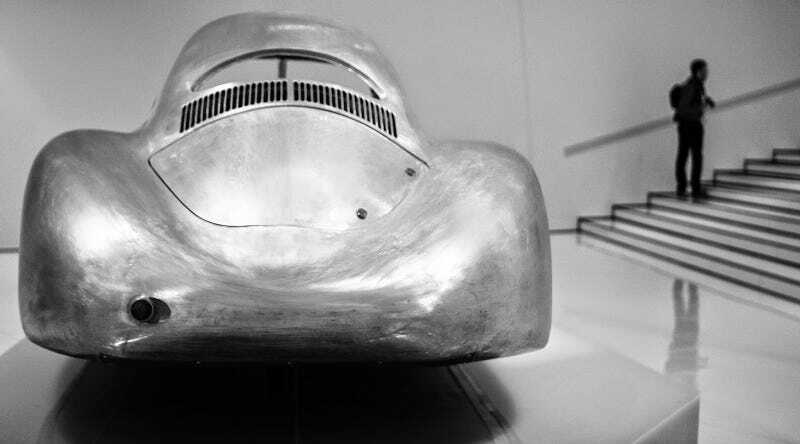 Tomas Jankauskas was a student at Pforzheim, and his Master's thesis project took inspiration from the Porsche Typ 64, built for the '39 Berlin-Rome race, translated into a revival for its centennial. Really starting to come together in these sketches. Loose, fast sketches figuring out the graphic breakups, that are still really descriptive of the form. Believably Porsche, but remaining original. Profile graphic breakups. I really like his final execution. He even ran his model through an airflow sim, apparently getting a .20 cD. Anyway. Great stuff. He's now a designer at Toyota. Not often that student work (even MFAs) hit a mark this high.